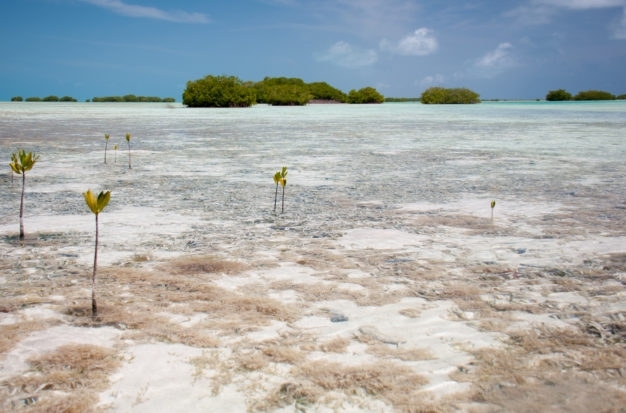 Los Roques is a mostly overlooked jewel in the flats fishing world, and thankfully so. An archipelago of over three hundred and fifty islands all within a national park some eighty plus miles off the coast of Venezuela, access for foreign visitors is surprisingly easy. 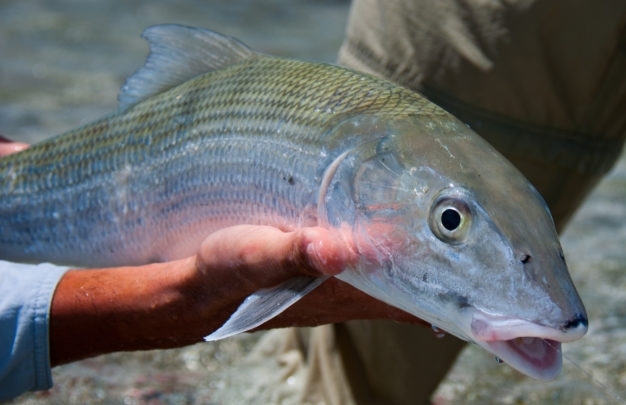 But while the area has in fact been hosting fly fishermen from other countries already now for a few decades, it has also somehow managed to remain mostly "off the map", and the number of anglers who make the trip each year continues to be strikingly low. Why? We can't imagine. But one thing is for certain; for all that we here at Hemispheres Unlimited are in the business of helping fishermen to access waters like these across the world, we also can't help but giggle to see not a single other flyrod on this one every single time we're there. When most anglers think of bonefish, their minds automatically go to well known places like The Bahamas, Belize, Key West, or even Christmas Island and the Seychelles for those with more adventure in mind. But thankfully even after all these years, Venezuela has been a long ways from putting itself on that list. 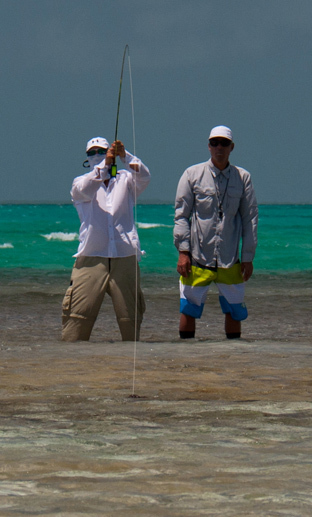 We say thankfully because it is exactly that absence of fame which has allowed the flats and islands of Los Roques archipelago to remain what they have always been: a mostly under the radar paradise of flats fishing that has never experienced any significant amount of pressure, and as such produces extraordinary results. 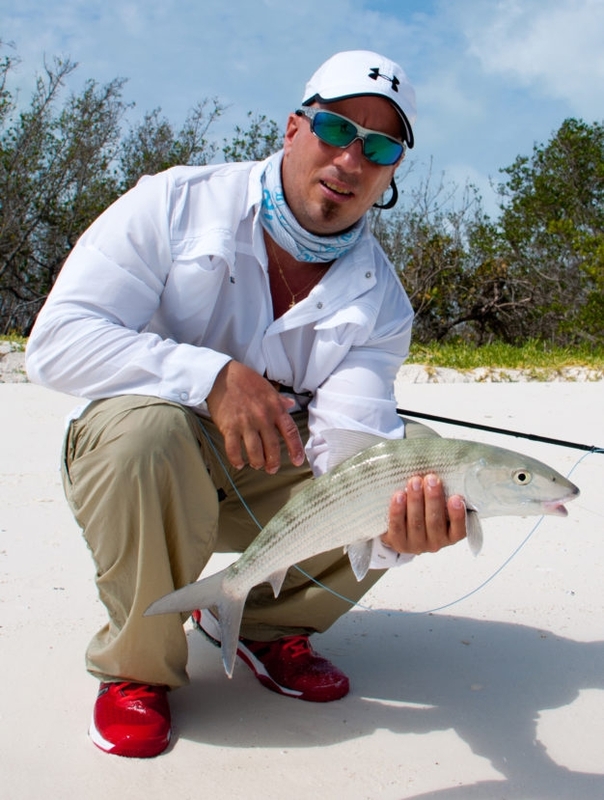 Most anglers with even moderate skills will bring better than a dozen bones to hand each day under normal conditions, with fish averaging four pounds being the most common, but shots at fish of six to eight pounds generally happening at least daily as well. 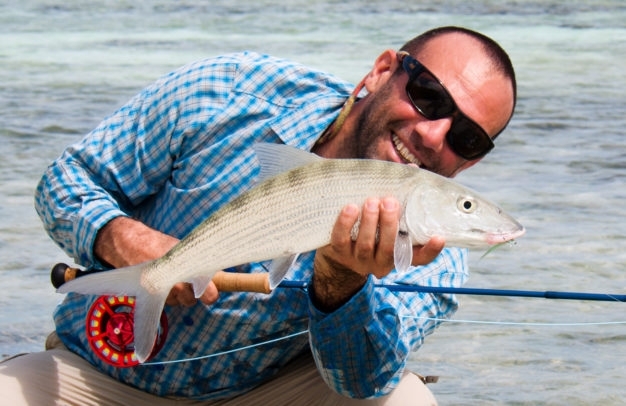 And bonefish aren't even the only game in town. 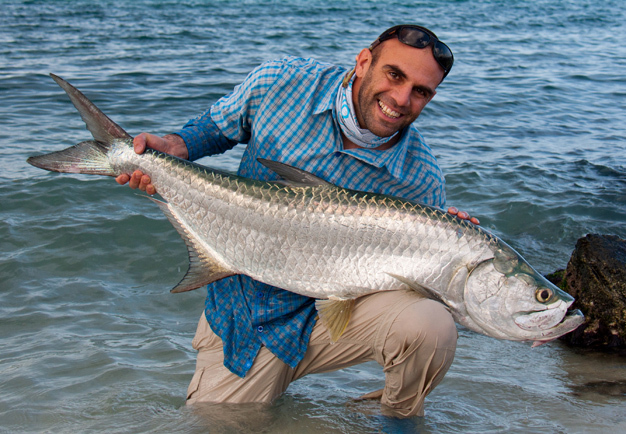 All the usual suspects swim these waters, with plentiful resident tarpon of up to a hundred pounds or so, the as usual elusive but also locally quite large permit, plus plenty of horse-eye jacks, cudas, and even snook! 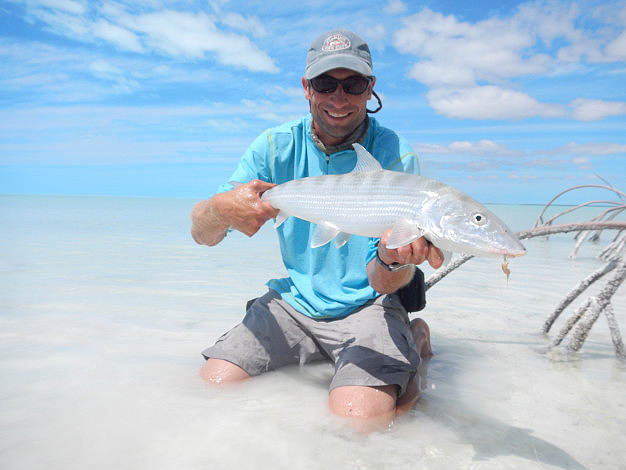 It pays to keep a couple of different rods rigged on this trip, and ask your guide to carry whichever isn't in your hand for those frequent moments multi-species surprise. 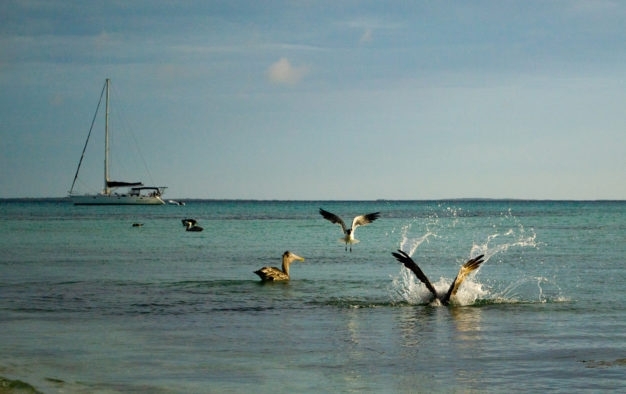 All of the fishing on our Los Roques program is wade fishing, with skiffs moving anglers and guides from one flat to another as needed throughout the day. 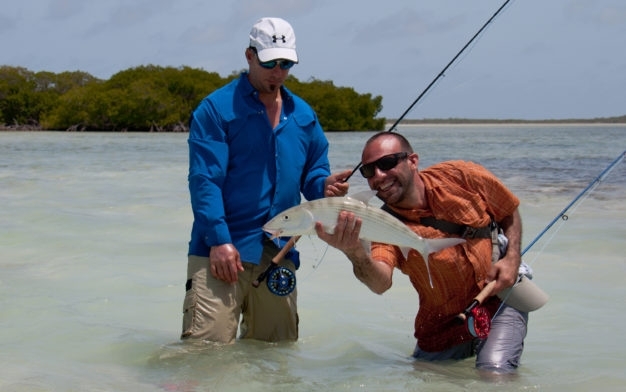 Most of the flats have excellent wading conditions, with light colored solid bottoms and just the right balance between food producing mangroves and structure, and access to open water. 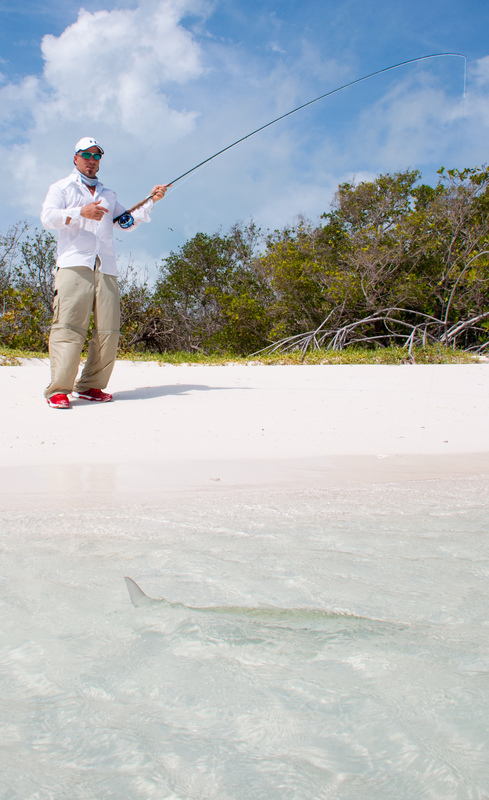 At only twelve degrees north of the equator, the climate in this area is some of the most stable in the flats fishing world, with air temperatures averaging in the eighties and water temperatures in the mid to high seventies year round. On top of this wind speeds are generally quite low but essentially constant, which is perfect for water temperature and oxygen level stability, exactly the conditions that flats species need to thrive. 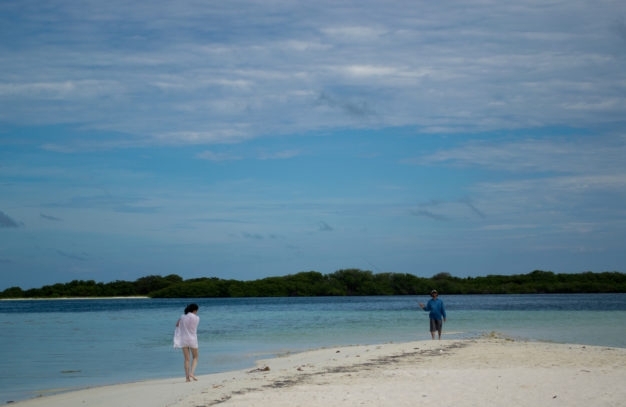 Rain though is almost non-existent, which means the flats also stay calm and well enough lit to sight fish, plus due to the dryness of the islands themselves there are very few mosquitoes and not a single sand flea on the beaches. 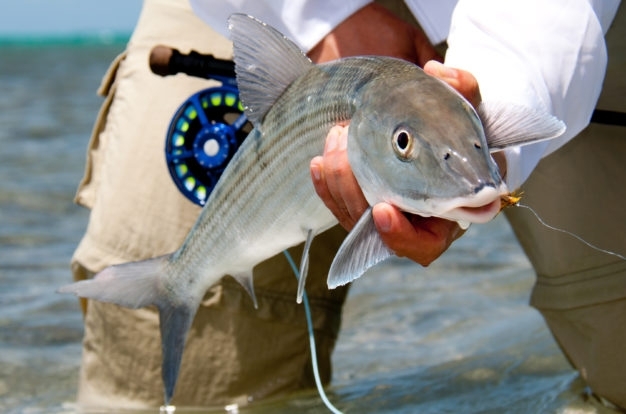 Peak season can only be described as most of the year - from early February through the first part of November, but even the higher water levels of December and January can be spectacular, especially for the larger bonefish and for tarpon and permit. 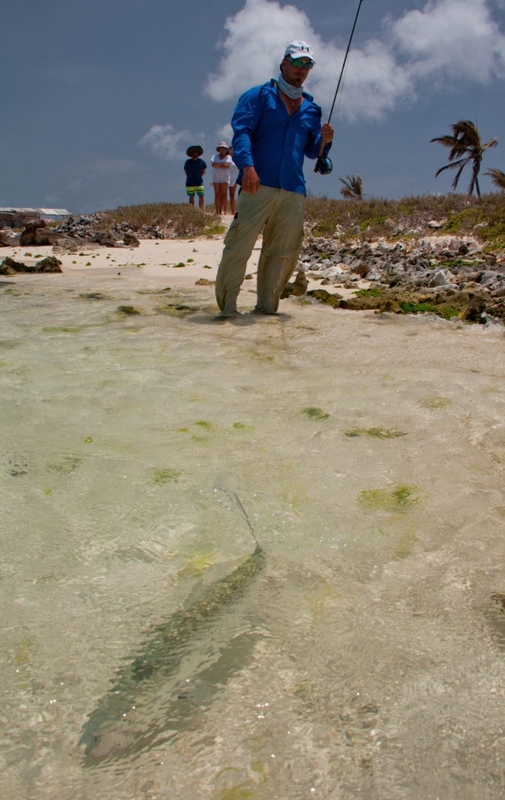 Our Los Roques Bonefish Club program is the only program in the islands that offers mobile lodging, allowing for the fishing to take place conveniently in some of the least accessed areas of the park instead of just within a short boat ride's reach of Gran Roque island where there is lodging. 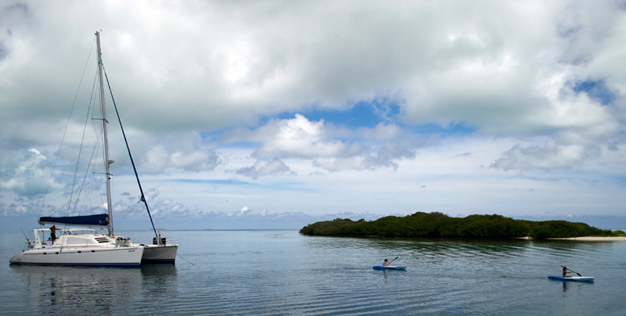 Immediately upon arrival clients are made comfortable aboard our spacious and well appointed catamaran sailboats complete with crew, service staff, and everything you need while exploring the national park. 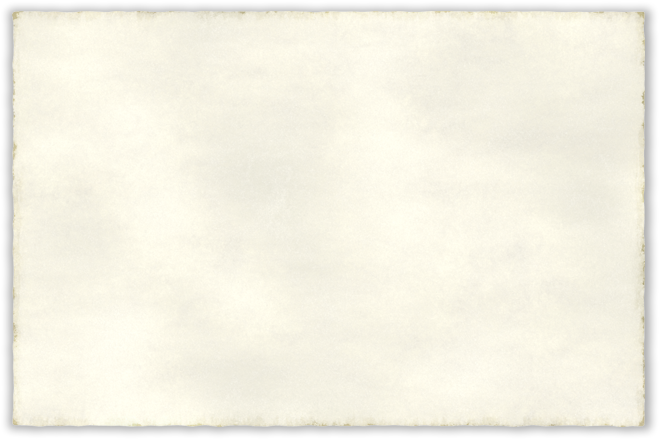 As such, for the duration of your trip all of the flats, beaches, and excellent food you could want remain right outside your cabin door. Guest cabins aboard the catamarans each feature a double bed suitable for either a couple or a single angler, and each also has its own private bathroom. 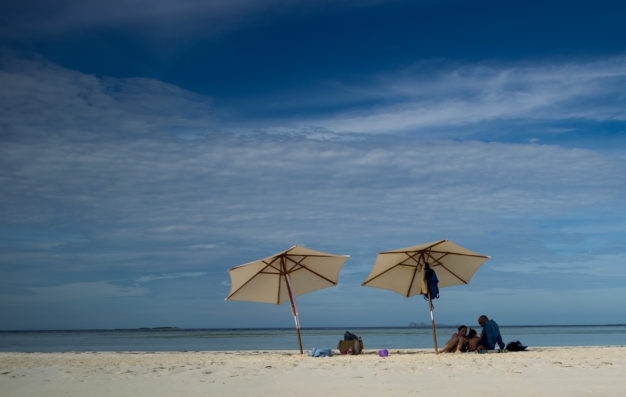 As such, the boats will accommodate up to three couples at double occupancy, or three total singles, and additional boats can be added to any itinerary for larger groups. 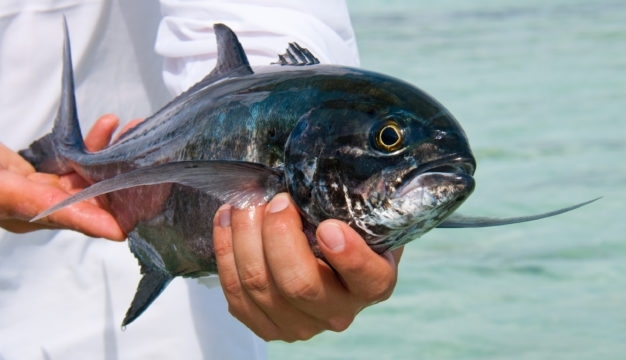 Culinary staff for the Los Roques Bonefish Club focus on internationally influenced menu design with almost entirely local, fresh ingredients. 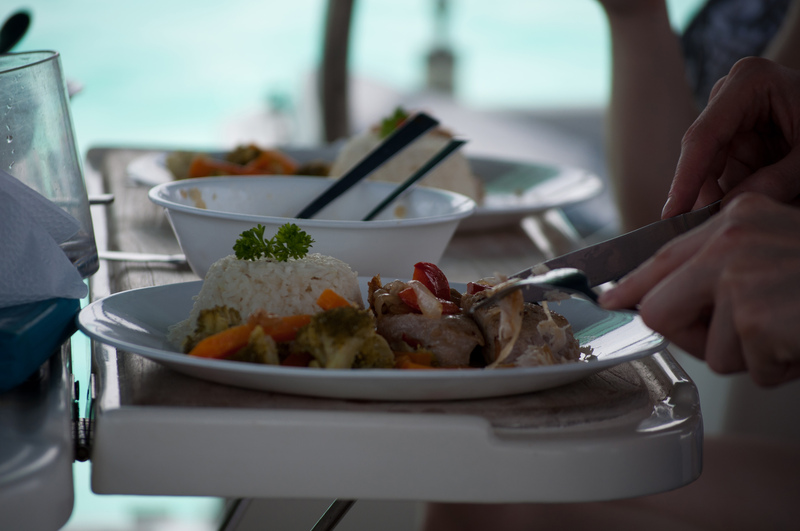 All meals are prepared onboard and served on a schedule built around each groups preferences with respect to fishing and other activities. Several airlines offer non-stop flights to Caracas from Miami, including American Airlines, and prices are extremely reasonable. 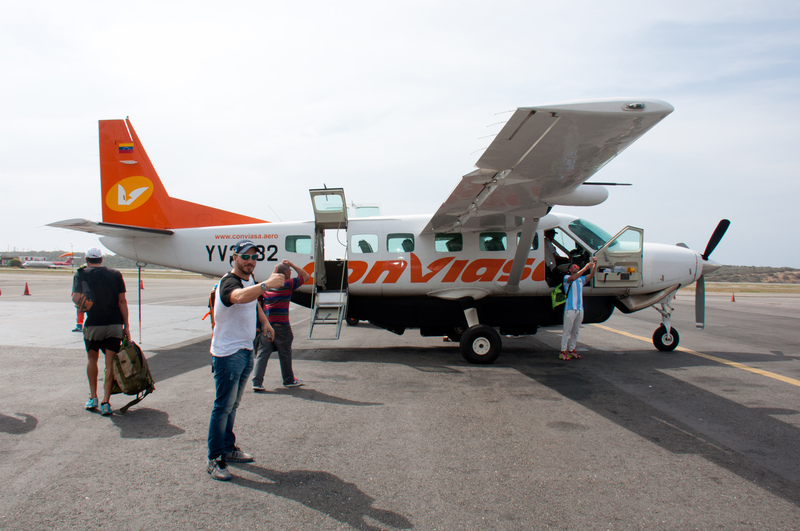 From there it is only a forty five minute puddle jump to Los Roques (included in your weekly trip rate), and for most of our clients itineraries that can be set up through our local guides to correspond with the arrival in Caracas and as such allow us to get you out on the water right away without the need for a first night in the city. Once in Los Roques clients can board their catamaran, sailing off for the islands and enjoying dinner and cocktails along the way. 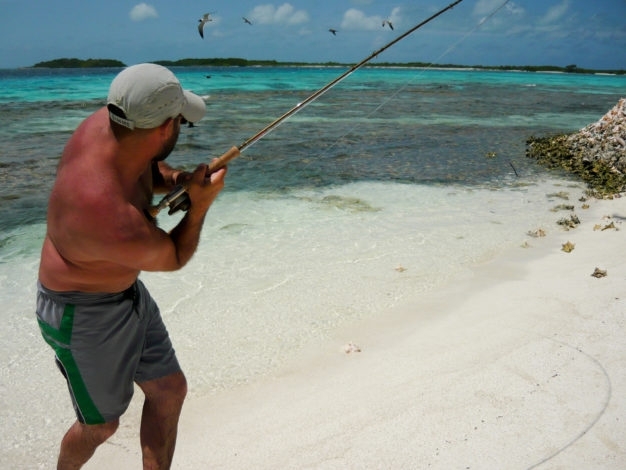 Contact us today for available dates and details, and get started on your way to this dream-trip of a lifetime with Los Roques Bonefish Club and experience the whole of Los Roques in nautical style!